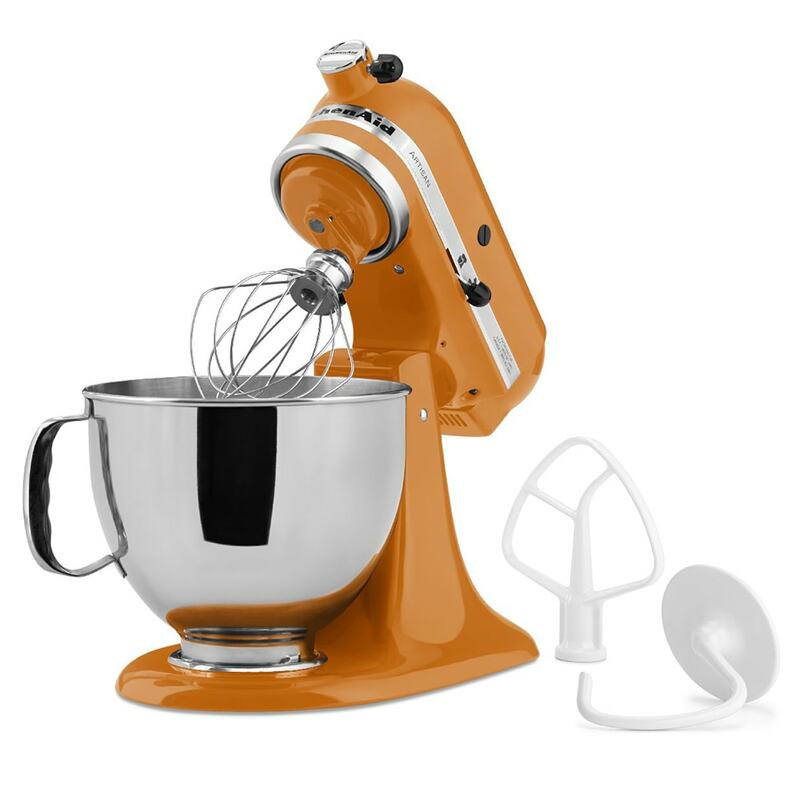 With 10 speeds to choose from, 3 included mixing attachments, and accessory attachment capabilities, this 5 quart mixer from KitchenAid has more to offer than good looks. Use this tilt-head stand mixer's flat beater for whipping up heavy mixtures like frosting or mashed potatoes. When you're finished mixing, the mixer's user-friendly design makes cleanup hassle-free. 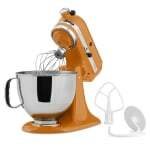 Artisan Series 5-quart mixer, 10 speed, tilt back head for easy access to mixture, 1-piece pouring shield with large chute for adding ingredients, includes flat beater, dough hook and wire whip. 120v/60/1ph, Tangerine. Warranty not valid when used in commercial environment such as a bar or restaurant.